Evolving "Trai voltage system" further enhances power. Yoshiki	（Experience：６〜１０ years）	No way to go! It is a racket with no bad place. E-tune can be changed to your liking, and if you do not have enough items you can buy additional parts and it will be a very nice racket that will expand further! Although I have drawned the story that the maker recommended for women, I think that it is also recommended for men! It might be a good idea to stretch the parts using the doubles and singles properly! 4U5, 24lbs, NG98 The balance is almost even, the shaft is also relatively soft and easy to clear, and the direction is also good. It is easy to swing, I think it is also a racket recommended for beginners. It is also an easy-to-use racket as a whole, and I think that it is a racket applied to various scenes from attack to protection. Japanese people	（Experience：２〜３ years）	The intermediate racket for intermediate. It is a very good racket. I'm a singles player, who is the one who is quite smart, but I can hit a heavy and fast smash that will put a course on the Boltric series's Tri-Voltage System and an intermediate head with a good head heavy smash. Clear also fly with a light power and it is clear even in the defense aspect because it is not heavy so far (only in the turn). Reception is also not sweet and easy to paint. It is sad that I became out of print for the launch of Astrox 77. I also want you to resell it. It is such a good racket. Although it is a head heavy racket, the swing weight is slightly lighter than the one at hand, compared with the upper 80e-tune and z-strike. I think that it is optimal for the beginning of the head heavy racket. The color is also white and unusual color scheme, so it is noticeable, but it receives a sophisticated impression. Since many people are using it, I purchase it. Head hard heavy but not too hard. It's 4 U, but I feel less lightly than I say. It feels good to hit the ball when meeting, but the ZF is better. A person who feels that ZF is too hard is a good thing, but it is a bad but bad racket. As personal impressions, swing-out was not as good as I thought, so it might be easy to use if it improves. I use it because it is a hard hitter type, so I feel very comfortable. The sharpness and speed of the smash has improved dramatically thanks to this racket. 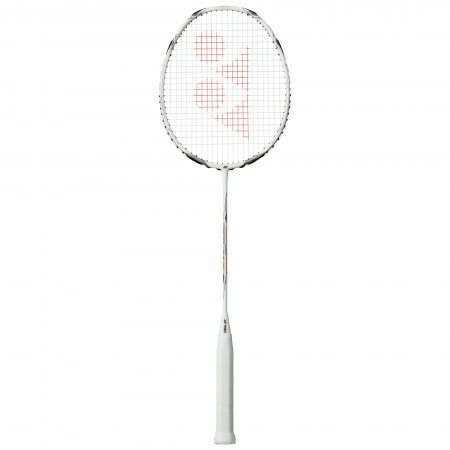 It is also an excellent point of this racket that we can adjust the weight by detaching the parts. I think that it is rather a racket for intermediate level to advanced level.